Sitting in a back room in a museum in Honolulu, Hawaii, a young Canadian archaeologist worked intently to catalogue thin section slides of 3,000-year old Lapita pottery acquired from archaeological sites in western Pacific islands. Cut with a diamond saw and then ground flat to a thickness measured only in microns, these thin slices of pottery are mounted on glass slides for close scientific examination. “The slides can be examined under a powerful microscope to identify the minerals contained in the pottery, which can tell archaeologists about the type of clay and inclusions used to form the pottery, which can then be used to track the movement of raw materials,” said Kate Leonard, the archaeologist cataloging the slides. Leonard’s work is an example of how archaeology is conducted beyond the typical field operations, or excavations, that most people read about in the popular press. 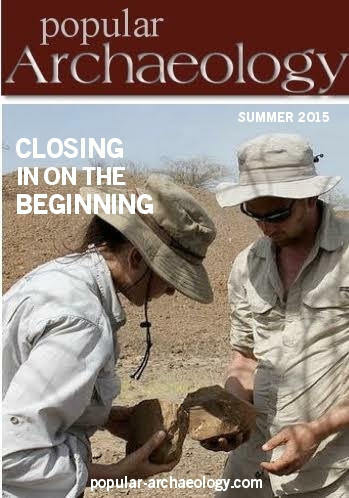 In fact, most archaeology is performed in places other than the field. What Leonard is doing is a small part of the total research picture that constitutes the vital behind-the-scenes work of archaeology. In this case, scientific scrutiny of these thin slices of Lapita pottery will help tell a story of who the original inhabitants of the Hawaiian Islands really were and where their ancestors came from before they became indigenous Hawaiians. The Lapita culture is known to be a prehistoric Pacific Ocean people who thrived between 1600 BCE and 500 BCE. Based on research conducted thus far, archaeologists suggest that they are ancestral to the historic indigenous cultures of Polynesia, Micronesia, and some coastal areas of Melanesia. They are thought to have been experts in seamanship and navigation, eventually colonizing Pacific islands hundreds of miles apart. Their descendants, known today as the Polynesians, came to populate islands such as Hawaii and Easter Island, and some archaeologists suggest they may even have reached as far as the South American continent. “The first archaeologists to study the islands relied heavily on terrestrial surveys, traditional architecture, oral history and mythologies to form their hypotheses about the first settlers of Hawaiʻi and their way of life,” continued Leonard. “Based on linguistics and oral traditions it was clear even at this early stage of Hawaiian archaeology that people had navigated the Pacific Ocean from Central East Polynesia to settle the Hawaiian Islands and develop the complex and thriving Ancient Hawaiian culture that Europeans first encountered in the late 1700s. These great voyages relied on the skills of master navigators who used the stars, winds and currents to direct their course across the vast ocean.” The vast number of artifacts recovered by archaeologists now have added considerably to understanding this picture. Leonard, and many archaeologists like her, believe that, in addition to the groundbreaking excavations and field research that archaeologists do, their work often produces the most significant and far-reaching results in the backrooms and labs of museums all over the world, like the Bishop Museum. Perhaps more important, it is where the great discoveries and the artifacts that illustrate them meet the public, the most important ‘clients’ and consumers of the fruits of archaeology. “One big initiative that is going on in many museums is to use technology to make their collections more accessible – so even if you can’t go to the museum itself you can hear the stories their collections have to tell,” said Leonard. For its part, the Bishop Museum is creating online databases so researchers and the public can explore and study the collections remotely. To this end, the museum has organized groups of volunteers to process and digitize them, resulting in databases like the Ho‘omaka Hou Research Initiative Online Fishhook Database (which contains over 4,000 fishhooks that were excavated from three different sites on Hawaiʻi Island in the 1950s), the Hawaiian Archaeological Survey (HAS) Database, and the Rapa Nui Interactive Radiocarbon Database, all of which can now be accessed through the museum website. 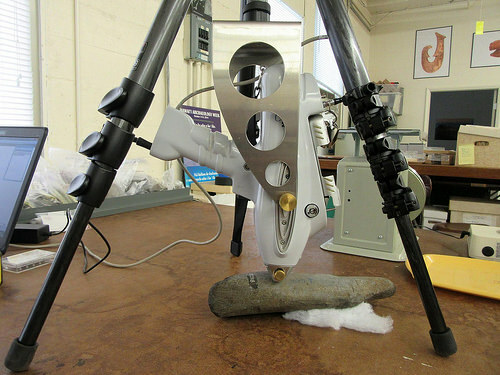 Moreover, the museum is also using its collections for applying non-destructive techniques to pull new information from the artifacts — such as using a portable XRF (x-ray fluorescence) machine to “zap” stone adzes. Results of this application reveals the elemental composition of the stone, giving clues about the origin of the artifact material. “It looks like it was taken off the set of Star Trek!” said Leonard of this portable x-ray fluorescence machine. The Bishop Museum is located in west Honolulu, set on land originally occupied by the Kamehameha Schools boys’ campus. Princess Bernice Pauahi Bishop was the last member of the royal Kamehameha Dynasty which ruled the (then) Kingdom of Hawaiʻi from 1810 – 1872. After she died in 1884, her husband, Charles Reed Bishop, established the museum in her honor. Her royal heirlooms are housed there. 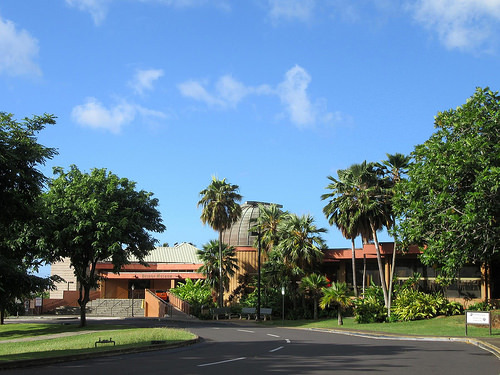 Today, the museum is considered “the premier natural and cultural history institution in the Pacific,” and, in addition to its permanent collections and exhibits, runs a program of rotating exhibits for its visitors. 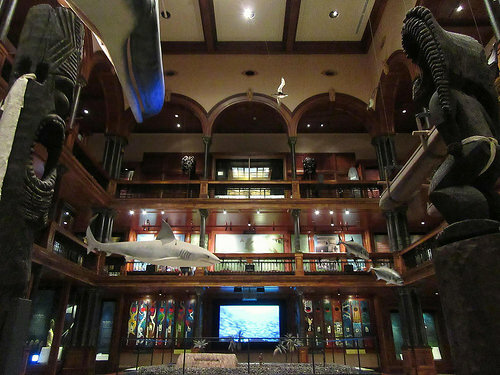 To learn more about the Bishop Museum, see the website. Leonard’s time at the Bishop Museum was for but a brief period. She has moved on to Toronto for a stint at the Royal Ontario Museum and then on to Switzerland, where she will be participating in other projects as part of a global year-long journey to work at twelve different archaeological sites in 12 separate countries. She calls her project Global Archaeology: A Year of Digs. Hawaii was the 10th stop on her global trek. Popular Archaeology will be following and reporting on Leonard’s worldwide experiences periodically throughout 2016 as she hops from one location to another during her global journey. To continue the work, however, Leonard will need ﬁnancial support from donors. Readers interested in reading about and supporting her self-directed Global Archaeology crowdfunded project can learn more at gofundme.com/globalarchaeology. You can read more about Leonard’s experience on Hawaii here. Did you like this? 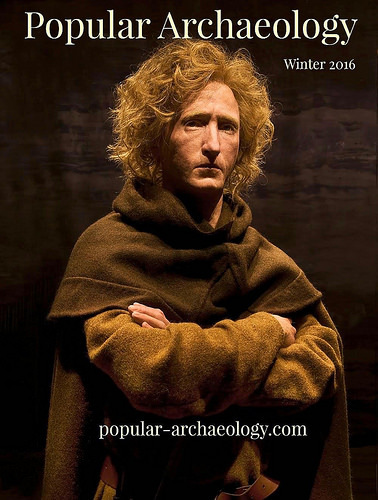 See the major feature article, The God-Kings of Paradise, now a free premium article at Popular Archaeology. As Founder and Editor of Popular Archaeology Magazine, Dan is a freelance writer and journalist specializing in archaeology. He studied anthropology and archaeology in undergraduate and graduate school and has been an active participant on archaeological excavations in the U.S. and abroad. He is the creator and administrator of Archaeological Digs, a popular weblog about archaeological excavation and field school opportunities.